Sun-drenched seaside holiday home close to Venice. 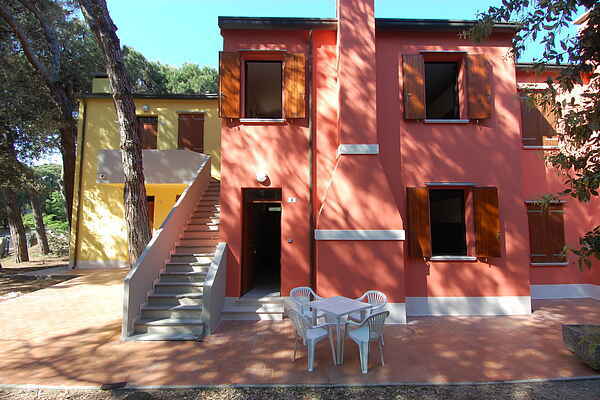 This holiday home, divided into several apartments, is located 800m from the attractive tourist village of Rosolina Mare and 250m from the beach. The holiday properties of differing sizes, are either on the ground or first floor and are furnished in a simple yet functional way; suitable for a seaside break. Private parking (max 1 car per apartment),garden. Beach service (with a sun umbrella, a beach lounger and a sunbed) is included. The town of Rosolina Mare offers a good range of services to tourists including shops and restaurants to make your stay as pleasant as possible. The position is also perfect for visiting Venice and the rest of the region. A daily tourist tax of € 1,43/night (for a maximum of 10€ per week per accommodation) will be applied from 1° June to 30 September.